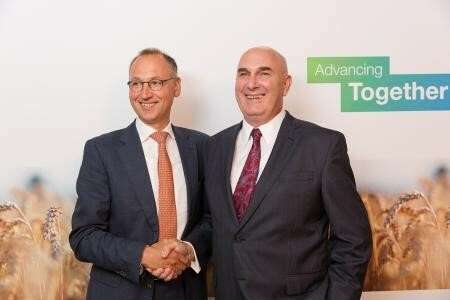 Bayer and Monsanto today announced that they signed a definitive merger agreement under which Bayer will acquire Monsanto for USD 128 per share in an all-cash transaction. Monsanto’s Board of Directors, Bayer’s Board of Management and Bayer’s Supervisory Board have unanimously approved the agreement. Based on Monsanto’s closing share price on May 9, 2016, the day before Bayer’s first written proposal to Monsanto, the offer represents a premium of 44 percent to that price.